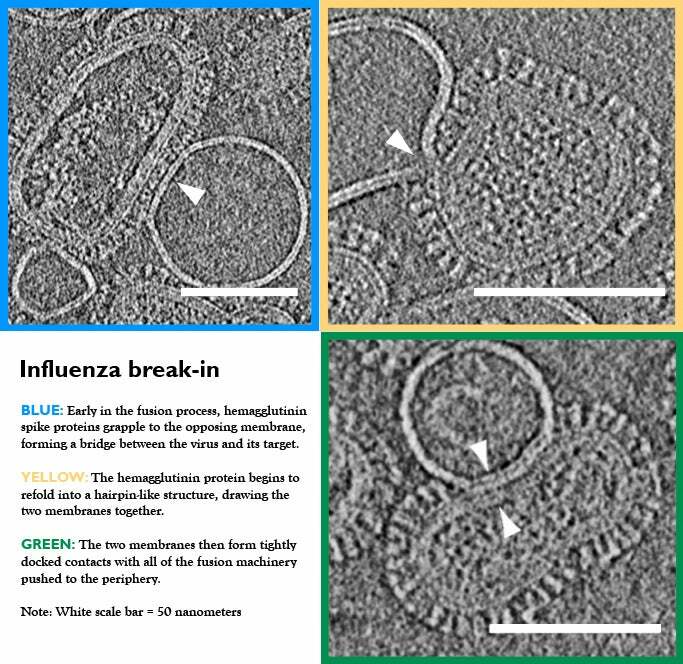 Researchers from the University of Washington are the first to visualise the insidious way that the flu virus latches onto a cell and ploughs its way inside, causing an infection. Using advanced electron microscopy, a team led by Kelly Lee sequenced the stages of membrane fusion—the process in which two separate biological entities merge to become one. 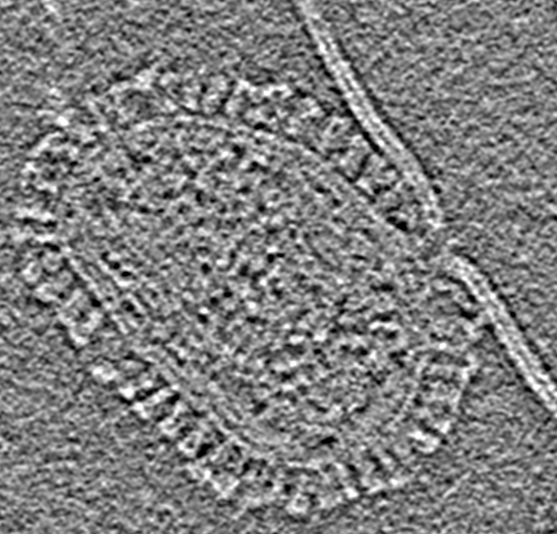 Specifically, they chronicled the merger of the influenza virus and a small lipid vesicle (or liposome), which was used as a stand-in for a cellular membrane. (Using a whole cell was impractical for the type of microscopy used in the study.) Their results now appear in the latest edition of the Journal of Virology. “What we’ve done is to image the different steps that take place as the virus’ fusion machinery start to manipulate the target membrane barrier so as to be able to open up a hole and spill its genome cargo into the cell,” Lee told Gizmodo. This process occurs over the course of several stages. First, the flu virus throws out short peptide segments that essentially work like grappling hooks. These peptides grab onto the target membrane, and then alter their structure to pinch together the two membranes. The virus then snuggles up against its target, creating even larger zones of contact between the two objects. These contact sites begin to unzip and break down, opening up a channel from the virus into the interior of the liposome. The virus then delivers its genome cargo to start a new infection. The researchers say the exact same process happens when the virus attacks and infiltrates a real, full-sized cell. 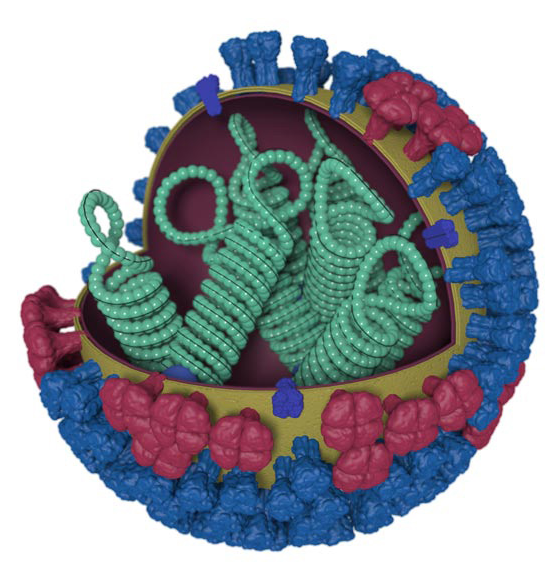 Any virus that has a membrane—such as the flu, herpes, HIV, measles, and ebola—is equipped with similar molecular machinery. This enables them to invade cells— and they do so by ripping open the membrane barriers that are in its way. Antibodies can target this machinery, locking them into place so that the virus can’t change its structure, or preventing it from binding to the target.